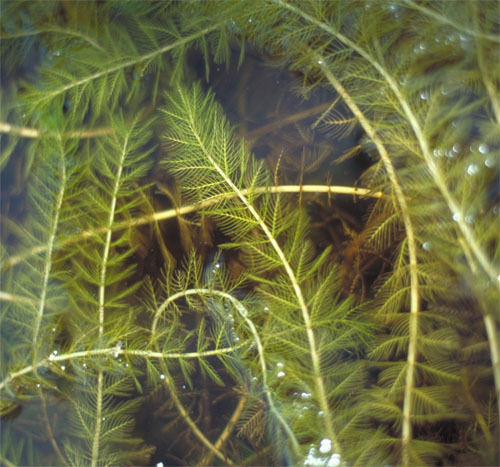 Eurasian watermilfoil originates form Eurasia and Africa and came to North America in the 1800s in the ballasts of ships. This plant can form large, floating mats in shallow water. These mats can become so dense that they shade-out native aquatic plants. Plant fragments can attach to boats, trailers, or animals and be moved from one body of water to another. 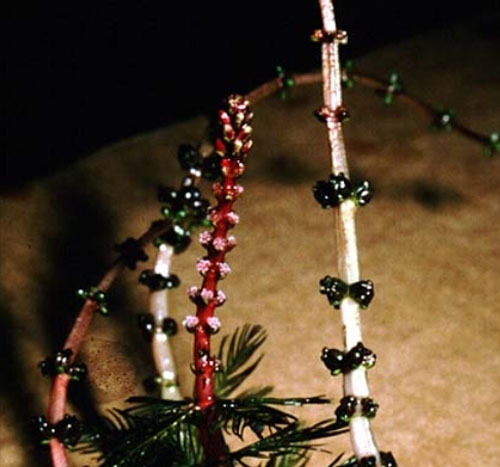 A single segment of stem or leaf can form a new colony. The flowers of this aquatic plant are tiny (only up to 3 mm wide), white, yellow or pink in color and are arranged on a spike that rises 5-10 cm above the water. The green, sometimes grey-green leaves grow in whorls of four around the stem. The leaves are pinnate, having more than 12 pairs of fine, hair-like leaflets.